Buying in or selling out? The next five years are going to be very interesting in the cheese world. Although there are multiple reasons for this, the one I want to focus on today is new partnerships and acquisitions. In the later 2000-teens, multiple medium-sized artisanal cheesemakers have been bought by or have partnered with large food companies. Vermont Creamery (Cremont, Bonne Buche) and Cypress Grove (Humbolt Fog), for example, are considered medium to medium-large in the artisanal (meaning non-industrial) cheese world. 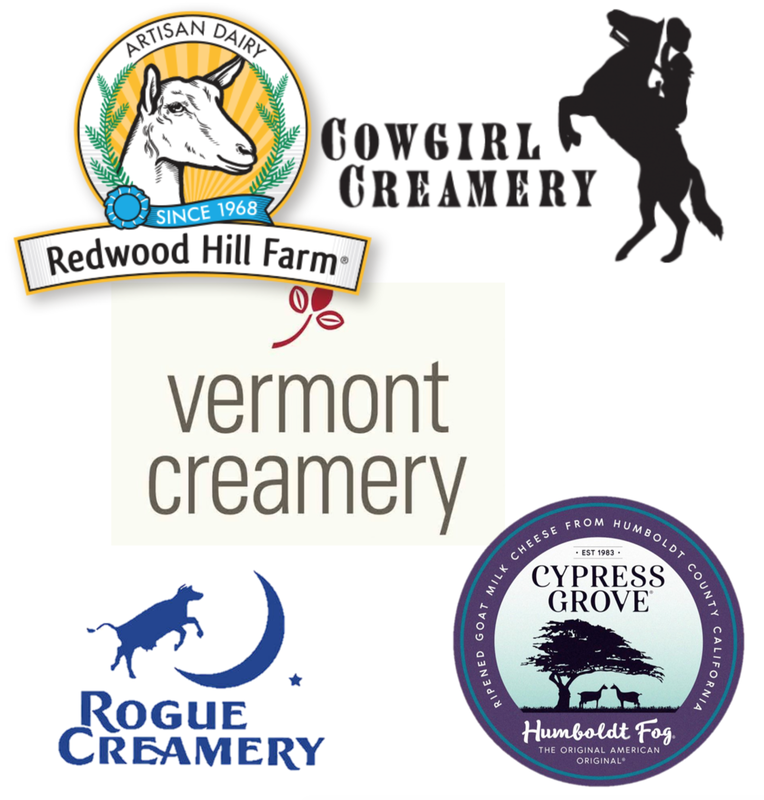 Cypress Grove, Cowgirl Creamery, Redwood Hill and, most recently, Rogue Creamery are all a part of European companies, and Vermont Creamery was acquired by Land O’ Lakes. It is easy to see why the cheese world has been thrown into a tizzy about this. These cheesemakers have been around for decades and we have them to thank for the expanding options of excellent cheese from the USA. So, when institutions like these are no longer independent, it can be worrisome. Will we be able to count on the quality of the cheese? Will they keep their missions of supporting the land, the people, and making great cheese, or will that change? Can we support independent cheesemakers in the USA without the backing of big companies? Will employees of acquired companies get to keep their jobs? While it’s easy to feel gloomy about the sales of independent cheesemakers, I think there are also reasons why this might not be as scary as it seems. Firstly, the founders of Cypress Grove, Cowgirl Creamery, Redwood Hill, Vermont Creamery, and Rogue Creamery have all been at this for many years. They created the modern artisanal cheese movement. They bushwhacked through the American public’s indifference towards small-scale cheese, clearing the way for not only today’s cheesemakers, but for shops like ours to exist. So I feel like they deserve a big pay day for everything they’ve done for us. Secondly, most of the medium-sized cheesemakers have been bought by European companies. This is interesting because it shows that American cheesemaking has a foothold internationally. Emmi, a Swiss cheese company, now owns Cypress Grove, Redwood Hill, and Cowgirl Creamery because they want to “strengthen [their] position in [their] largest foreign market, the USA.” The USA is being noticed as a maker of excellent cheese and as a place where excellent cheese, foreign and domestic, is appreciated. Finally, in the interviews I read with the founders of these companies about change of ownership, they talked about how they had to make up their own procedures for cheesemaking and for their businesses over the years. Now, their companies have an infusion of money and support to expand their offerings, experiment, upgrade their machinery, and/or increase production. At least for now, they can take comfort that their business will continue to thrive. I’m sure there are those who would argue with me and say these sales are going to ruin the independent artisanal cheese industry. I think instead, they show that the love for non-industrial cheese is growing in the USA and large companies are taking notice. They see money can be made from this market, and so want to encourage its growth, not squash it down. Maybe this will help cheese become more ingrained into our everyday life here in the USA. Perhaps sometime soon, small cheesemakers will gain great support from the government and general population, similar to that of Switzerland and France. Or it could blow up in our faces. Time will tell, as everyone says. Let’s keep watch and see what happens!